Orchard House, Concord, MA. Image courtesy of Louisa May Alcott’s Orchard House. 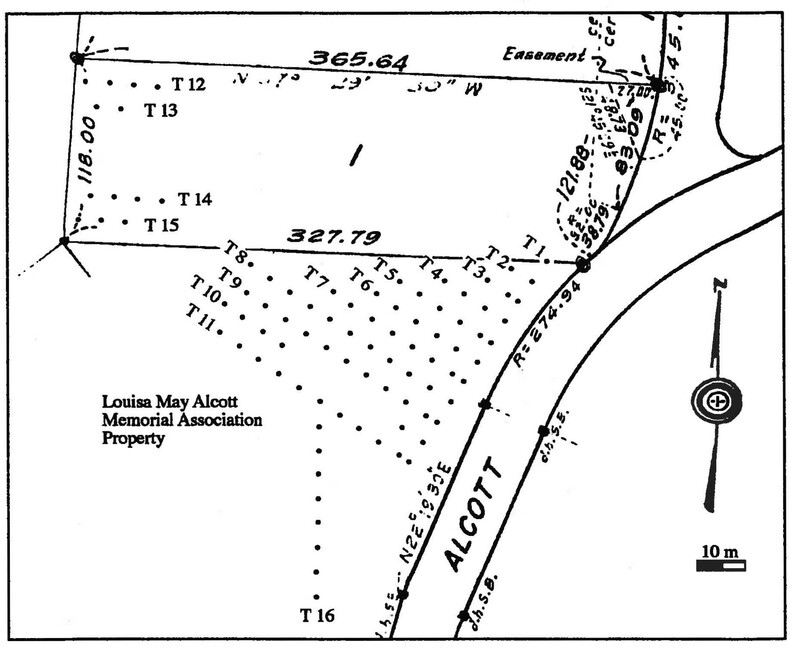 A team of staff and students from the Fiske Center at UMass Boston will be working at Louisa May Alcott’s Orchard House in Concord, Massachusetts, this fall, conducting archaeological excavations in advance of the construction of a geothermal heating system for the historic buildings. The purpose of the excavation is to study any important archaeological deposits that are in the path of the construction. We will be looking for evidence of previous outbuildings, trash deposits, information about landscape changes, and data that shed light on people who lived in this area in any time period. 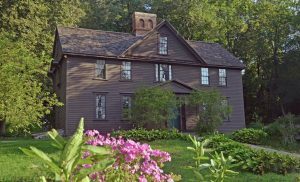 Orchard House is best known as the historic home of the Alcott family including Louisa May Alcott, author of Little Women (1868), and her father Bronson Alcott, a member of the Transcendentalist movement. 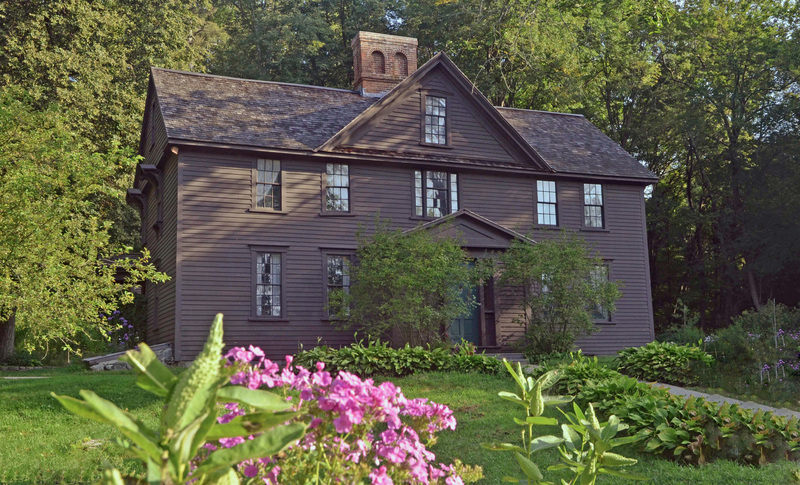 Since 1912, the house has been maintained as a historic site by the Louisa May Alcott Memorial Association, now as Louisa May Alcott’s Orchard House, Inc. The Alcotts lived on the property from 1857 to 1877 and were responsible for the current configuration of the house (older structures that were altered during the Alcotts’ tenure) as well as many landscape changes. We know about some of these activities from the family members’ journals – they were prolific writers – and from two previous phases of archaeological excavation on the property. Map of the 1999 STP transects north and northeast of the house. The previous excavations in 1999 and 2001/2002 had two different goals. The 1999 work was a shovel test pit (STP) survey, a grid of small excavation areas regularly spaced, north and northeast of the house. These small test pits are used to gather the first round of archaeological information about an area to learn what kinds of landscape changes have taken place, what kinds of trash deposits or features (foundations or pits, for example) are present in an area, and to begin to put dates on the different deposits and activities. At Orchard House, the 1999 survey uncovered a lot of evidence of activity during the Alcotts’ occupation and shortly thereafter, including evidence of moving top soil from one part of the property to another and of re-landscaping the area around the house. The STPs also found areas with high concentrations of trash and building materials. The STP survey provided a general picture of uses of areas north of the house that had archaeological potential – the possibility for deposits that would provide significant information about residents of the property. Since the property is preserved and protected, none of these deposits were further excavated at the time. The 2001/2002 excavations were focused on the areas directly around the house and were carried out in anticipation of work one the house’s foundation. In this case, since we knew that the area was going to be disturbed by necessary construction, rather than just identifying the locations of archaeological deposits, we excavated large portions of them to gather information before it was lost. 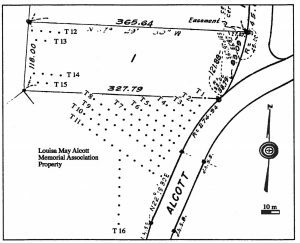 This phase of work resulted in the excavation of a large Alcott period trash deposit just behind the house which was studied in detail by UMB student Allison Conner for her MA thesis. Some of the ceramic vessels excavated in 2001. This year, we are returning to the area covered by the 1999 STP survey. Since the geothermal heating system will cross this area, we need to excavate larger portions of the areas identified as having high archaeological potential. We will use the results of the earlier work, and the construction plans, to put targeted, larger excavation units in places where the work area crosses locations identified as significant. We will also test some new areas not covered in 1999. The first activity on site will be to establish a site grid. We do our work in the Massachusetts State Plane grid using GPS units and a total station, which ensures that excavation unit locations are accurately mapped and that any researcher could find them again in the future. In preparation for this, we put the old excavation maps into Geographic Information System (GIS) software which will allow us to display all of the excavation units from multiple years on a single, layered map. After Labor Day, we will begin excavation. We excavate stratigraphically, meaning that we remove each different soil layer separately. The soil from each layer is screened, and all artifacts from a soil layer are kept together. The archaeologists will also spend a lot of time drawing, mapping, and documenting their findings. 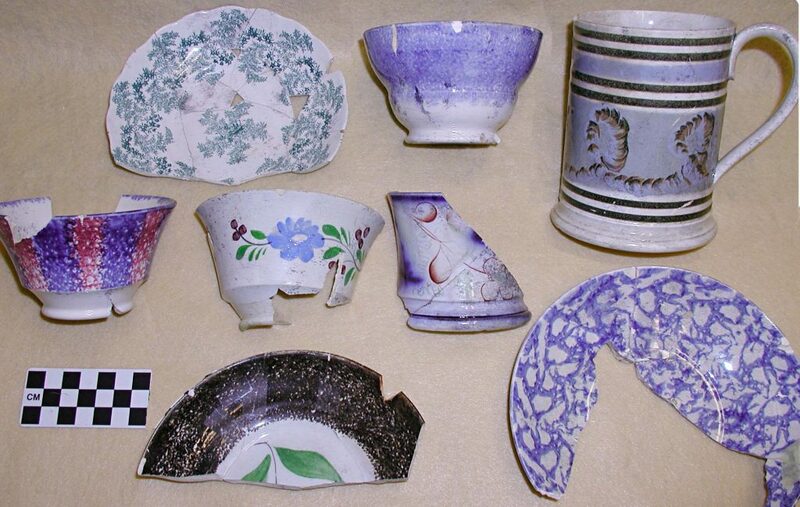 Once the excavation is complete, artifacts will go to the lab at UMass to be cleaned, identified, and studied before eventually returning to Orchard House. We will share updates from the field and lab work here or on our Facebook page or Instagram account at UMBArchaeology. If you are visiting Orchard House, you can also ask the Orchard House staff or the archaeologists questions about the work. You can also ask a question in the comments here!